letter exactly once, in all of the rows and columns. 2) One or more cells may remain empty in each Row and Column. 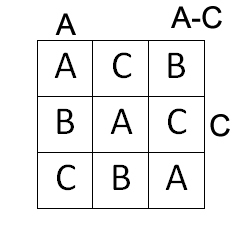 Now as the given range is A-C and the number of rows and columns are also 3 so there will be no empty cells. 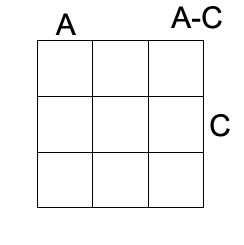 Whereas if it 4*4 grid and the range was A-C then there would be one empty cell in each row and column and SO-ON. This rules will get clear after seeing the Example and some practice puzzles.